This collection of these charming and adorable graphics is perfect for all your Valentine's Day and Mother's Day projects. 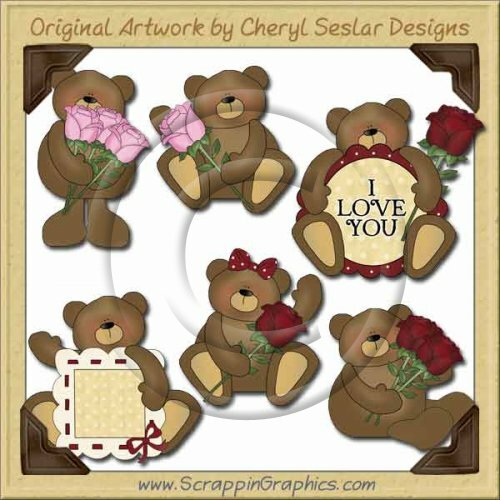 This set includes 6 different clip art graphics: I LOVE YOU teddy bear, picture frame teddy bear, bouquet of pink roses teddy bear, red rose girl teddy bear, pink rose teddy bear, bouquet of red roses teddy bear. Great collection for making scrapbook pages, cards, labels, tags, invitations, and other printables.